Ubisoft are far being beginners at this free-to-play lark, having converted many of their off the shelf games into an online variant. 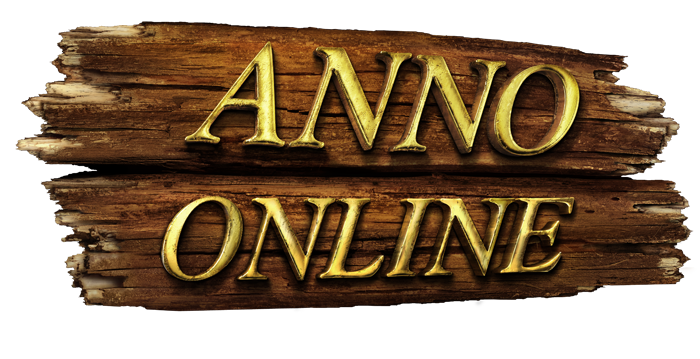 Anno Online is one of the latest of these which sees players participate in the game through a browser against many other online players. 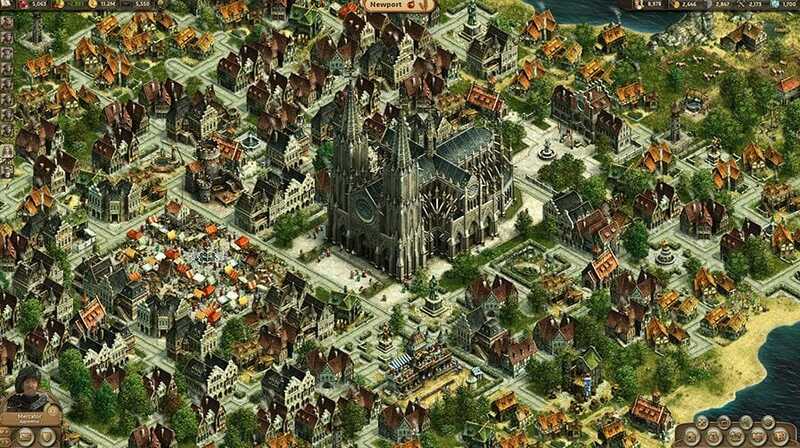 The game is a city-sim that sees you start off with nothing but a small tribe, one which you are tasked with turning into a bustling and successful city. You obviously start with very little, just a small settlement that includes just the one house. 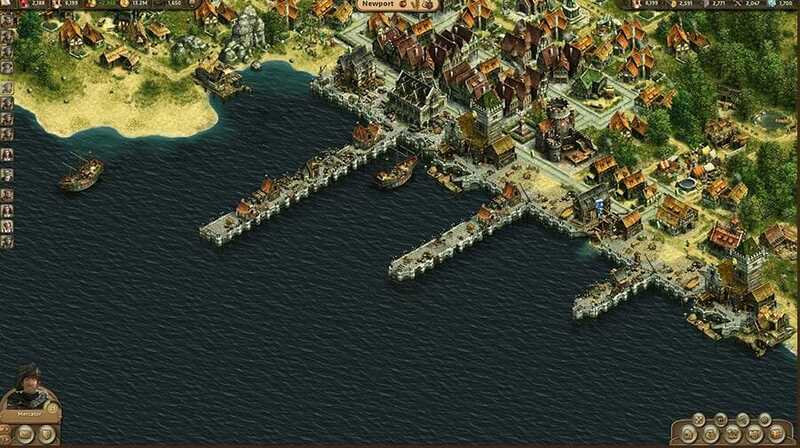 As in many of the games of this type, the idea is that you need to build up your resources to allow you to build better buildings which in turn provide even more resources. 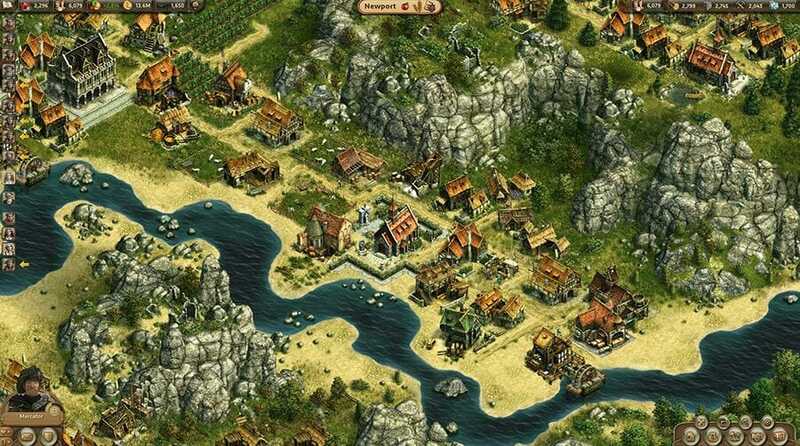 You can collect resources such as stone, wheat, cider, silk, food and wood once you have built the particular building required to collect it. You can then use those resources or opt to take them to market to sell to other players. The game is all about keeping your people happy, which gets more difficult the further that you progress. From initially being happy with some food and a roof over their heads they suddenly decide they want the fairer things in life such as silk, spices and satin. Some of these resources will even require you to travel to get, which can result in your really starting to dislike your population. As you get even further the game starts to get more complex. You will have to think strategically about where exactly each building needs to be to get the most citizens to be happy. You are not confined to just one island either, as you can create a settlement on other islands and then transport goods between them all. It does sound a little complicated and stressful but it is not actually as bad as all that. This is because unlike other games in this niche you will not have to survive disasters, fight any wars or worry about other players conquering your city. The game is about balance and finances rather than war and strategy. There are also a number of quests in the game at the beginning. These are more for tutorial purposes to teach new players the ropes. The large community on the game is very helpful in the main as well, especially in the forums. There is an option for players to buy the in-game currency called “Rubies”. These will allow the construction times on buildings to be greatly reduced, allow for special items to be purchased or for the buying of better islands. Whilst these give benefits to opposing players, they do not effect the game too much as you are never going to be completely up against someone, so there is no real feeling of unbalance. The game is great if you like to play something that involves plenty of planning and strategy without the threat of other players or disasters destroying what you build. In essence that game is a single player apart from being able to trade and chat with other players. If you prefer a bit of PvP action then this game may not be for you. In summary though, a good game that you can play at your own pace, meaning no waking up at odd hours to fight off enemy attacks.